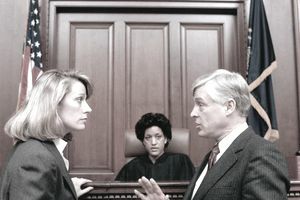 Can You Be Sued After the Statute of Limitations Has Passed? One of the ways creditors and debt collectors get consumers to pay their debts is by filing a lawsuit. If the judge finds in their favor, the court can order you to back the debt and may even garnish your wages to completely satisfy the debt, but creditors only have a certain amount of time that they can sue you for debts. We know that the statute of limitations is a law that limits the amount of time a debt is legally enforceable. After the statute of limitations for debt has expired, the creditor can not use the court to force you to pay the debt. The time for the statute of limitations starts ticking on the last date of activity on the account and lasts between anywhere from 3 to 15 years depending on the state you lived in when you created the debt and the type of debt. Can a creditor sue after the Statute of Limitations has passed? Technically, it's against the law for debt collectors to sue or even threaten to sue you for time-barred debts, that is a debt whose statute of limitations has expired. That doesn't necessarily mean you won't be sued. A collector might sue you anyway if it believes that the statute of limitations hasn't passed, for example, their records may show a more recent date of last activity than what you have. Some dishonest collectors sue under the assumption that you can't prove that the statute of limitations has passed or that you won't show up to court to plead your case. If you're wondering whether the statute of limitations has passed on a debt, you may be able to ask. The Federal Trade Commission has required one large collection agency, Asset Acceptance, to start informing debtors when the statute of limitations has expired. Not all collection agencies will do this automatically, but you do have the right to ask if the statute of limitations has passed. If the agency responds, they must answer truthfully. Be careful that you don't make any payment, payment arrangements, or promises to pay. Otherwise, you could accidentally restart the statute of limitations. While creditors and collectors may not be able to sue you for a time-barred debt, they can continue other collection efforts like calling you, sending letters, and reporting the debt to a credit bureau if it's still within the credit reporting time limit. If the debt is tied to a piece of property, e.g. a title loan is secured by a vehicle, the creditor may have the legal right to take possession of that property. If you're served with a lawsuit summons, it's best to contact an attorney with experience dealing with creditors and debt collectors. That way, you can be fully aware of your rights and have a legal representative in court. Do not ignore the lawsuit summons, even if you believe the statute of limitations has passed. Failure to appear in court could lead to a default judgment being entered against you and you will automatically owe the debt. You must show up to court and provide proof showing the statute of limitations has passed to have the judge find in your favor and dismiss the debt. If you are sued and can show proof that the statute of limitations on the debt has indeed expired it's likely the case will be dismissed. Keep your records for all your debts, even the ones you haven't paid and even if you believe the threat of a lawsuit has passed. If you're ever faced with a lawsuit, these documents will play a key role in your defense.